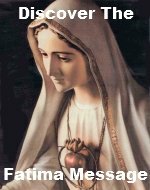 The First Luminous Mystery Rosary Meditations bring to mind your Baptismal promises. When you were Baptized into the Faith, you promised through your Godparents to reject Satan, and all his works, and all his empty promises. You promised to believe in God, the Father almighty, Creator of heaven and earth; to believe in Jesus Christ, His only Son, our Lord, Who was born of the Virgin Mary, was crucified, died, and was buried, rose from the dead, and is now seated at the right hand of the Father. And finally you promised believe in the Holy Spirit, the holy catholic Church, the communion of saints, the forgiveness of sins, the resurrection of the body, and life everlasting. Fulfilling these promises is at the heart of the meditations on this mystery as well as being open to the Holy Spirit. Please add your own meditation(s) on this mystery, The Baptism of Jesus. By adding your own meditation(s) you are actually building your own web page on our website. 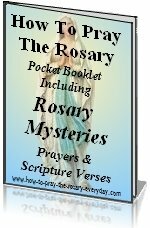 They don't have to be elaborate meditations, but they do have to pertain to the First Luminous Mystery Rosary Meditations.